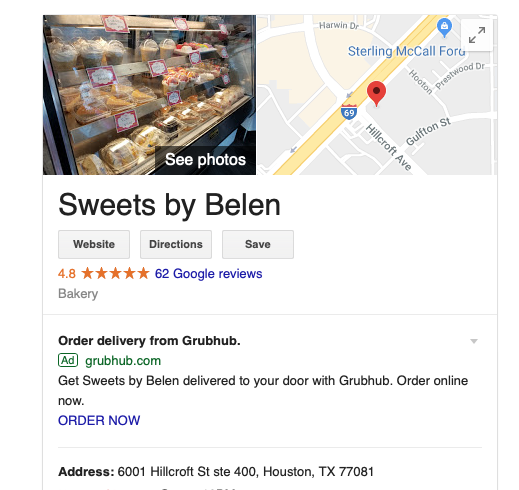 I was on my way to check out some thrift stores and I came across Sweets by Belen on Hillcroft near 59. 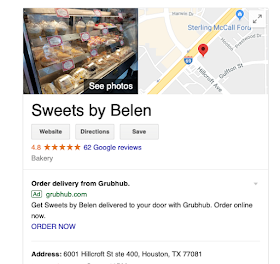 What a fantastic stroke of luck to discover this Peruvian pastry shop. My wife, Greg and Yanni had just been dining the night before at Aji Peruvian Grill and having a conversation about Peruvian and South American desserts. What blew me away completely, so much that I am in all seriousness telling you "YOU MUST GO HERE AND TRY THIS CAKE IMMEDIATELY" was their Lucuma Cake. Their particular riff on it was an assembled cake consisting of the lightest, most delicate white cake layer, a lucuma mousse, and a center of dulce de leche. I think it is the best dessert I have taste so far in 2018. And their alfajores cookies were some of the best I have ever had, possibly the best in Houston. Perfectly executed shortbread with a filling of dulce de leche. What is lucuma? Here is a link that talks about this tropical fruit. Just ignore the pseudoscience aspects of the article. And here follow, photos of Desserts by Belen.